At Appliance Recycling , we can accept a fairly wide range range of electronic e waste items for recycling. Its free for you to drop for all items except Tvs and we also charge for commercial quantities. To see what our prices are for TV Recycling click the link . Below is a list of E waste and electronic items we accept. If you are unsure of want further information please call us, and at the bottom of this page are driving directions to locate us . 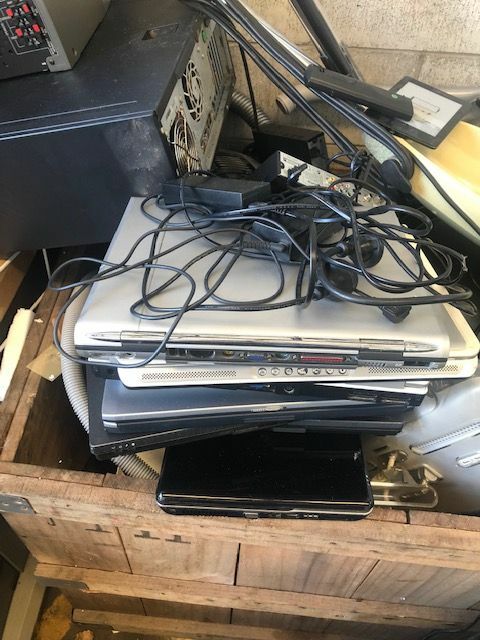 eWaste often contains hazardous materials and can be made up of toxic substances like lead, mercury, cadmium and other nasty chemicals you do not want to get on your skin or breathe in. So getting rid of these safely is our goal , free drop off is available for most items . Do You Offer e Waste Collection ? What Items Do We Accept For e Waste Drop Off ?